Just two months ago, the IOTA ring was successfully commissioned, and the program of the advanced beam physics studies has since begun. One of the most interesting scientific topics at IOTA will be studies of beams made of a single electron. 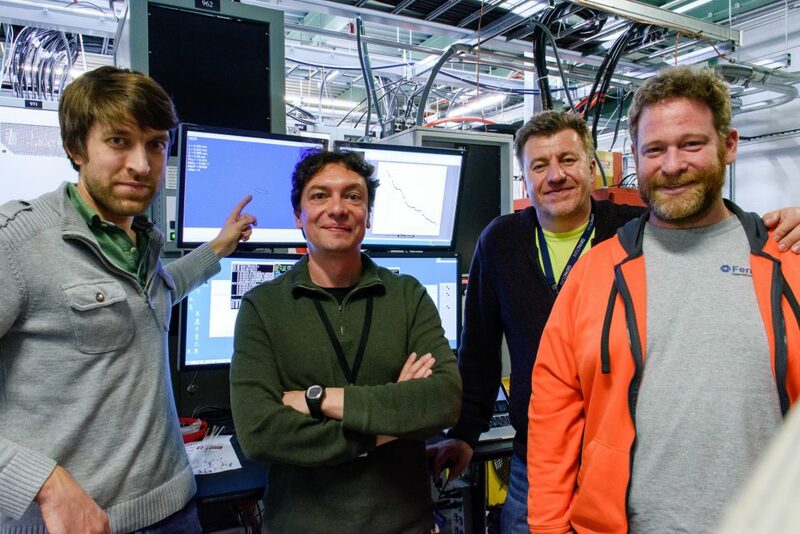 On Oct. 31, for the first time at Fermilab, we recorded a single electron traveling through an accelerator, the 40-meter-circumference IOTA ring. It circulated for four minutes, corresponding to about 2 billion turns. 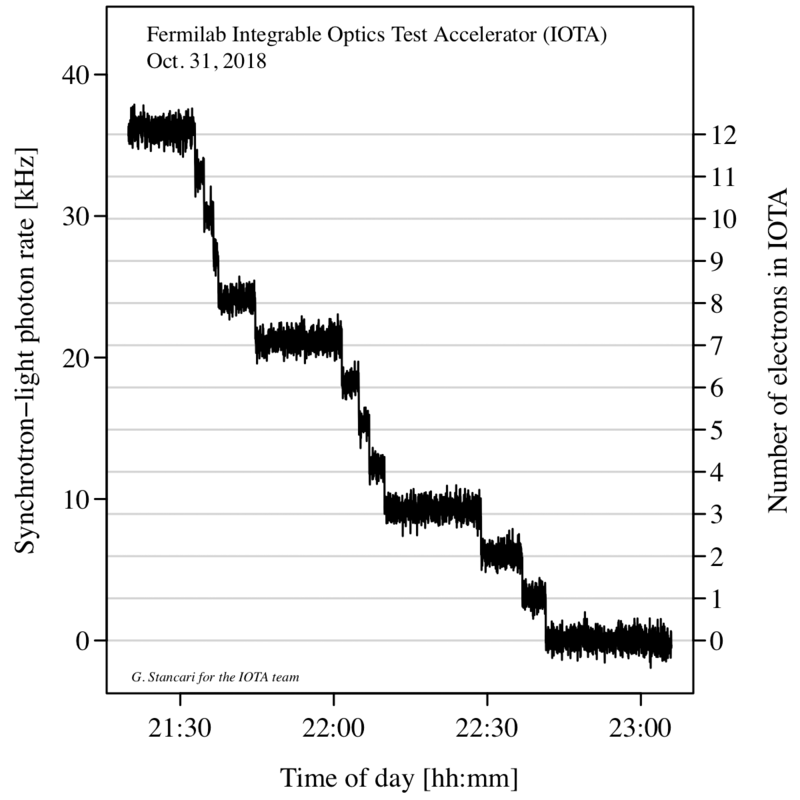 We set up sensitive diagnostics based on synchrotron radiation, which allowed us to observe individual electrons being lost due to collisions with the residual gas in the vacuum chamber. The very last electron died, poetically enough, on Halloween night at 22:41:25. In the plot below, each step down is one electron lost. Each step down in the curve represents the loss of an electron. The experiment occurred about a week before our upcoming workshop on physics with single electrons in IOTA. The accomplishment is the result of the work of a large dedicated team. In particular, we would like to acknowledge and thank the members of the FAST Facility Department, the Accelerator Research Department and the SRF Group in the Mechanical Support Department. This result paves the way for fundamental studies of the quantum properties of electrons, and of the photons they emit, as they are stored in the accelerator. Those interested can view the relevant logbook entry. Fermilab scientist Giulio Stancari is leader of the experiment, and designed and built the experiment’s detection system. Vladimir Shiltsev is a scientist in the Fermilab Accelerator Division.